Mark Zuckerberg’s daily thank you. My mother sent me this email today — I wonder how Mark Zuckerberg’s practise of writing a daily ‘thank you’ changed his perspective on things? And if that feeling of spreading gratitude helped inspire him to make that huge dollar gift he promised after his child was born? 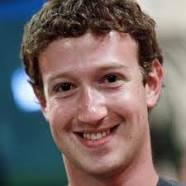 I just read in the NY Times that Mark Zuckerberg makes a public pledge each year to improve himself. His efforts have been closely tracked by the press and by users of his worldwide social network. In 2009, he decided to wear a tie every day. In 2010, his task was to learn Mandarin, in 2011 a pledge that when he ate meat it would be from animals he had slaughtered himself (! ), and in 2013 he aimed to meet someone new every day. In 2014 he promised to write a daily handwritten (or emailed) thank-you note.